The site of the house has been a seat of the Cholmondeley family since the 12th century. The present house replaced a timber-framed hall nearby. 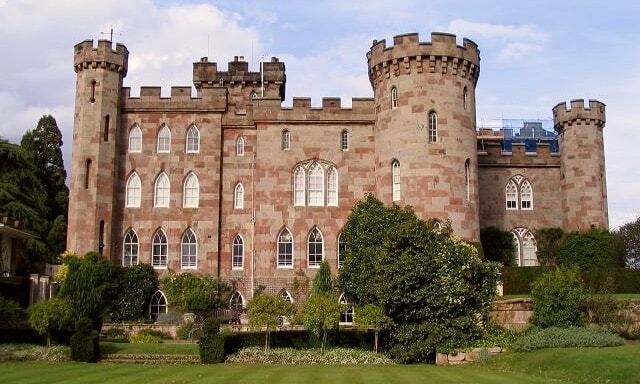 It was built at the start of the 19th century for George Cholmondeley, 1st Marquess of Cholmondeley, who designed most of it himself in the form of a battlemented castle.